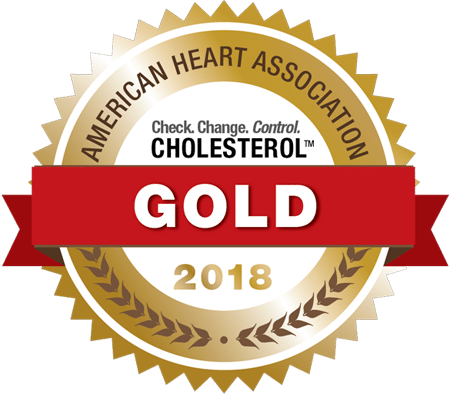 Healthy Connections, Inc., has received the American Heart Association’s Check.Change.Control.Cholesterol™ Gold Award in recognition of their commitment to reducing the risk of heart disease and stroke through improved cholesterol management. High cholesterol is one of the major controllable risk factors for heart disease, heart attack and stroke, estimated to cause nearly 2.6 million deaths annually. To help people better understand their risk and learn to manage their cholesterol, the Association launched its Check.Change.Control.Cholesterol. initiative in 2017. Since then, more than 340 health centers and systems have registered to participate. To help practices achieve their goals, the Association provides all participants with a dedicated website featuring a free, evidence-based improvement program that includes tools and resources to help clinicians improve cholesterol control rates. To facilitate easy and seamless adoption of the program, the Association will provide access to trained support specialists within their community who can help identify specific program components to incorporate into clinical practice. Healthy Connections, Inc., was founded in 1998 as a home visiting program and now operates nine clinics throughout Southwest Arkansas. Depending on location, services include primary and preventative medical care, general dentistry, pediatrics, behavioral health, physical therapy and cardiology. Learn more at www.healthy-connections.org.